In 2046, a revolutionary 80% shock-absorbing reinforced cardboard has been developed, rapidly transforming the world's exports. The reinforced cardboard would soon become the battleground for a popular children's hobby called "LBX" (Little Battler eXperience). 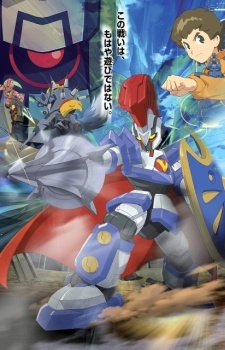 Four years later, a boy named Yamano Ban who loves to play with LBX (although without a mecha himself) is given a case containing the model AX-00 by a mysterious woman. He is told that he now holds the hopes and despairs of mankind in his hands.